William Rivers was not always interested in Anthropology. In fact, he was originally so uninterested that when an uncle (James Hunt 1833-69, left him a number of books on the subject, he refused them. 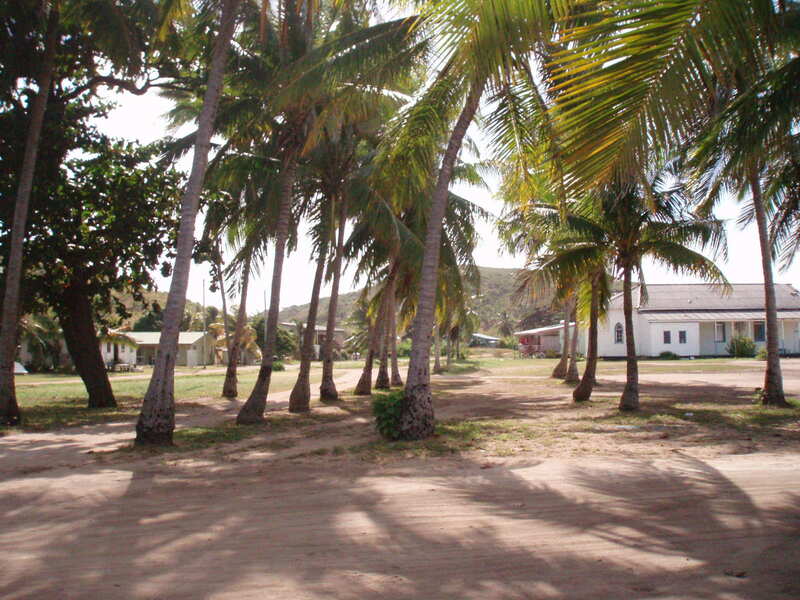 Likewise, when invited to join the Cambridge Anthropology Expedition to the Torres Straits in April 1898 by Alfred Cort Haddon, he declined, recommending his former student, Charles Myers, in his stead. By the time of his death, however, he was noted as a skilled field-worker in the subject, had written several papers, created a methodology that would become famous, and made studies in Egypt, Melanesia, India, back home in England and as far away as Australia. 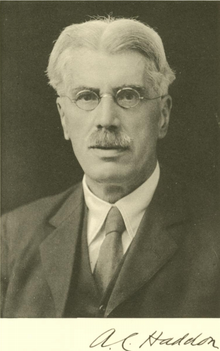 His Fellowship at St John’s (1902) was awarded largely on the merit of his anthropological work and he is remembered as a major, if controversial, figure in its establishment as a university subject along with Ethnology (Paul Whittle ‘A Founding Father Worth Remembering).He even once said that he would like ‘He made Ethnology a Subject’ as his epitaph. What changed the Doctor’s mind was Haddon’s invitation. Eventually the fact two of his former students were to participate in the expedition, and curiosity; a ‘desire for change and novelty’, which he himself recognised as a ‘strong aspect ‘ of his make-up, got the better of him and he agreed to go as one of the party’s psychologists Taking little more than what could ‘fit into a hand bag’ (Slobodin) , he travelled to Murray Island, near Australia, with Haddon Myers, William McDougall, another former student, Sidney Ray, C.G Seligman, and Anthony Wilkin, as photographer. The expedition ended in October and the group returned to England where Rivers ran similar tests for comparison purposes, doing so again in 1900 when he, Myers and Wilkin travelled to Egypt. 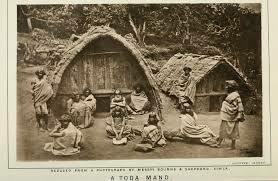 Now very interested in fieldwork, he took several more trips to Melanesia and other regions including India where, in 1902, he made an in-depth study of the Toda people, publishing a report detailing his findings in 1906. 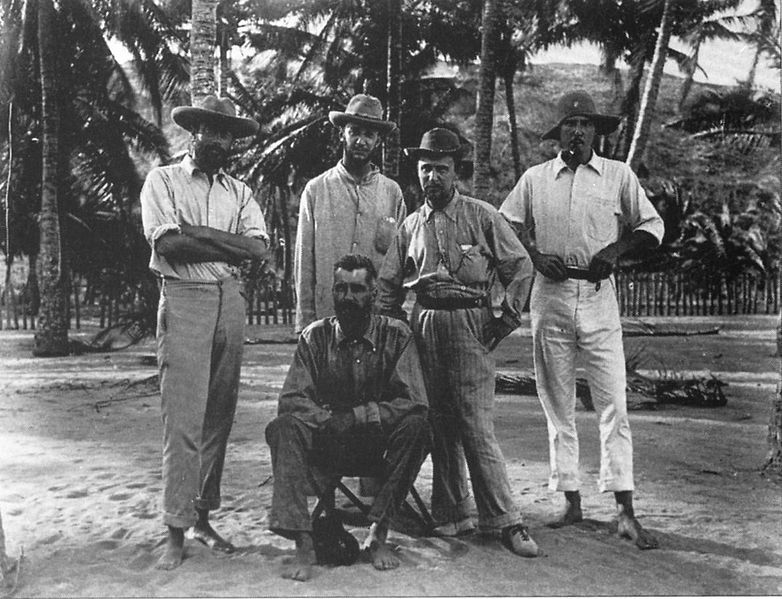 Following this, in 1907, Rivers once again visited Melanesia, with the accompaniment of Arthur Maurice Hocart,* focusing on the islands of Eddystone, and Simbo in the Western Solomons. They were the first anthropologists to spend so long (three months) ‘immersed’ in a society for observation; a ‘pioneering’ and ‘remarkable’ expedition, in the words of the authors of ‘The Ethnograpic Experiment‘. Their work mainly concerned recording the crafts, belief system and everyday actions of these people because the doctor had been worried by the way these were being gradually but surely eroded by the (not always benign) influence of the white man (The Disappearance of Useful Arts, W. H. R. Rivers, 1912 : The History of Melanesia, W. H.R. Rivers, 1914). He noticed how the changes and loss of regard for their traditions left the inhabitants depressed and apathetic in comparison to what he witnessed in earlier visits, and feared what would become of them in the future. Hocart also frequently referred to the despondency of the native people is his account of their stay, and Christine Dureau, Dr of Anthropology, uses his narrative to compare with another made by an observer in the 18th century. This observer recorded the islanders as being ‘autonomous and assertive’, showing a great change occurring between the times before and after ‘British Pacification’. His writings betray his growing belief that the native, however primitive his life might seem to European culture, led just a valid a lifestyle as those in more ‘civilised’ societies – after all their people had lasted just as long. In Rivers’ own words, the ‘Great White God’ no longer held so exalted a place in his own perception and he had long begun to see the value in the ways of what colleagues called his ‘Headhunters’ As work-based as these trips to various countries were, they represented far more to the doctor; the etiquette expected of the average Victorian or Edwardian, let alone a Cambridge Don, meant nothing to them, and they took each person as they appeared; Rivers could for once be himself, be relaxed without having to conform to the sometimes petty or restrictive notions he encountered back home where, with his complex expertise and personality, he did not fit comfortably into traditional categories. The ease he felt on these trips only emphasized the rigid, by-the-book existence that England represented for him now, with the laughing, friendly natives (Slobodin). They did not expect him to speak or dress in a certain style or repress his natural feelings and reactions. Much as co-workers, friends and family teased him, he was far happier ‘out in the field’, and anthropological travel became almost vital to his well-being in a way that those at home, with their own ironically backward view of tribal life, could not hope to comprehend.